This week we go back to 1992 to listen to one of the most famous environmental speeches in modern history, Severn Cullis-Suzuki at Rio ’92. Has anything changed? Can it still? You can watch the video here. Next up, we listen to a fabulous clip of Elizabeth May, leader of the Green Party of Canada taking the parliamentary secretary to the minister of the environment – Colin Carrie to task for intentionally trying to mislead Canadians about our own CO2 emissions. You can watch the video here. Who are they? 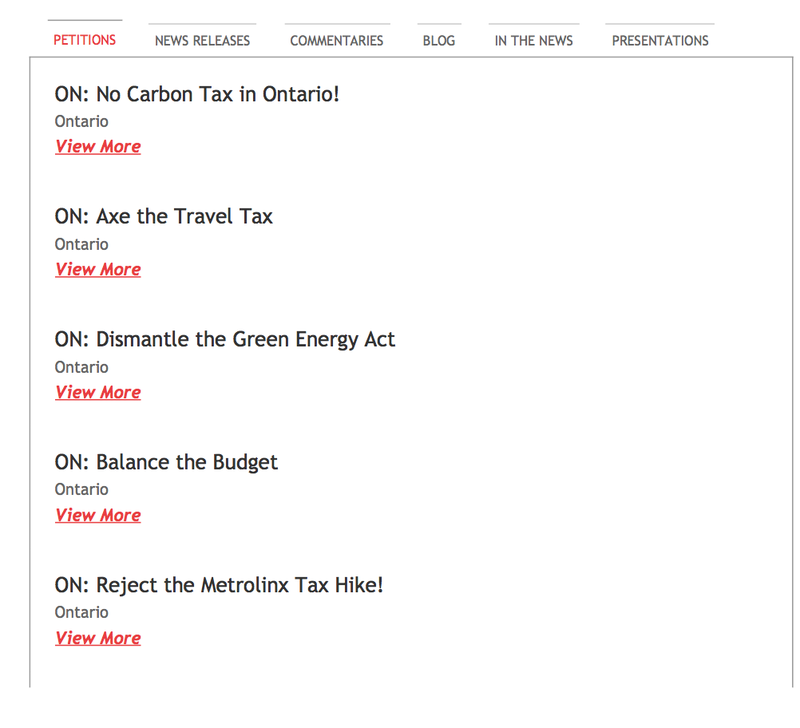 Well here’s the entire list of their priorities for Ontario [click image to the left]… They’re just regular-old concerned taxpaying citizens… riiiiight.